There are numerous holi recipes one can choose to prepare. Bhang – an intoxicating drink is the most famous of all the other items prepared during this festivity. It is considered as one of the auspicious and holy drink to be served and drunk on holi, as Lord Shiva consumed this. Holi, the Festival of colours is here to be celebrated. 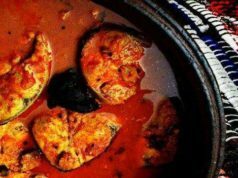 This hindu spring festival comes along not only with the happiness of colours but also comes along with some delicious food items. 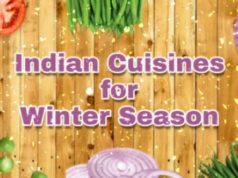 After all, its Indian festival time, we all expect some finger licking cuisines to be served along. There are numerous holi recipes one can choose to prepare. Bhang – an intoxicating drink is the most famous of all the other items prepared during this festivity. It is considered as one of the auspicious and holy drink to be served and drunk on holi, as Lord Shiva consumed this. This famous dish from north India, a deep fried pastry stuffed with sweet khoya filling is the famous dish made during holi time. 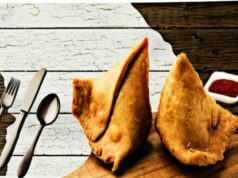 To make this famous and tempting ‘gujiyas’, you would require – flour, khoya, raisins, almonds, cooking oil, water, salt and sugar. Preparation – Knead flour dough using oil and water, then set it aside and cover it with a cloth. Take a deep frying pan, add khoya and bake it until turned brown. Then add sugar, raisin, almonds and stir it for 2-3 minutes. Let it cool now. Make some small and thick chapattis of the kneaded flour. Fill the chapatti with prepared khoya mixture and fold the chapatti inward twisting the edges. You can also use Gujiya making tool available in the market. Deep fry these gujiyas until turned golden brown and your gujiyas are ready to be served. You can also put these gujiyas in to sugar syrup to give more sweet taste. 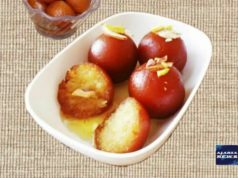 It is a traditional Punjabi dessert prepared and enjoyed during festival season, especially, Holi. To make this delicious sweet rice, all you require is basmati rice 1 cup, milk 1 cup, 4 cardomom, salt a pinch, sugar 1-1½ cup, ghee 2tbsp, red food colour – a pinch, cashewnuts and grated coconut – 1 cup. Soak rice for an hour, and then cook it with milk, salt and water. Don’t forget to make sugar syrup in a pan. Add cooked rice, colour, ghee and cardamom and stir it for 10-15 minutes. Also fry some cashewnuts and coconut in ghee and add them to the rice. Your sweet rice or Meethe Chawal is ready to be served hot. Bhang is an intoxicating drink prepared during holi. It is considered as auspicious drink as it was consumed by the lord shiva. Bhang ke pakode, therefore, is the popular snack during holi festivities. 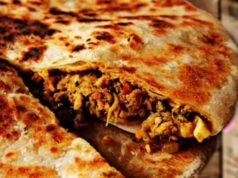 To prepare this, you need gram flour, potatoes, cauliflower, onion, spinach, brinjal, cannabis (bhang seed powder), soda, carom seeds, pomegranate seed powder, salt as per taste and oil. Preparation method – Wash and chop the vegetables in a big bowl and mix together besan, soda and salt together. Then add to this mixture, bhang seed powder, carom seeds, red chilli powder and pomegranate seed powder. Add enough water to make a batter. Heat oil in a pan. Take small pieces of batter from the bowl and let it fry. Deep fry on medium flame till it turns golden and crisp. And your bhang pakoda are ready to be served hot. Bhang ki Lassi and thandai are two important and auspicious parts of any holi party menu. Well, these are intoxicating drink too, so drink it at your own risk. To prepare this drink, all you need is – cannabis (bhang), warm whole milk, sugar ½ cup, 1 tbsp coconut milk, 1 tbsp chopped almonds, ginger powder, pinch of garam masala, 1 cup water and grenadine. Preparation – take a pan, boil water and add cannabis to it. Stimmer it for around 10 minutes and strain it. Grind the strained bhang with 1tbsp milk and repeat it. Add milk and almonds to hang. Strain the mixture and pour the milk, coconut milk, grenadine and boiled water into a pan. While stiring add ginger, sugar, garam masala and to the mixture. Cool it few hours before serving cold. 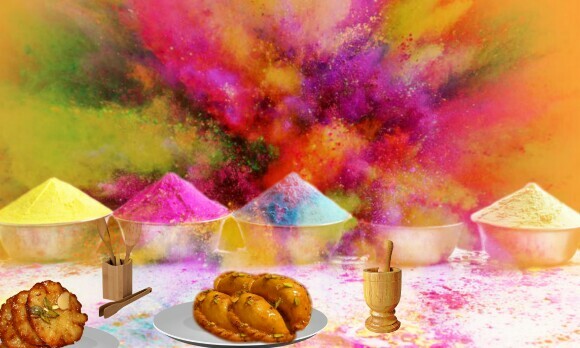 A dessert rich in taste, aroma, flavour and calories, is the best dessert to be served during holi parties. It’s finger licking taste is admired by everyone. To prepare this delicious dessert you need – bread slices, ghee, sugar, condensed milk, khoya, milk, silver leaves, cardamom, saffron colour, rose water and pistachio. Preparation method – firstly, remove the bread crust and deep fry it until it turns golden colour. Heat milk and sugar, when milk turns to be thick, add to it the bread pieces. Then add on condensed milk, khoya, cardamom, saffron colour and rose water. Cook on low fire until milk becomes thick. 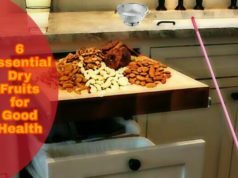 Arrange the bread slices in a tray and spread this mixrure over it. Cover the bread with silver leaves and sprinkle some nuts onto it. Your shahi tukra is ready to be served. Malpua, a dessert or a snack in the form of a pancake is one of the famous desserts for holi festivity. To prepare malpua, you require – wheat flour, 1 cup semolina, 2 cups grated jaggery, ghee, 1 tbsp peppercorns, 2 cup milk, 1 lime, 1 tbsp curd, salt and soda. Preparation method – Put flour and semolina along with milk, curd, jaggery and pinch of salt. Beat it for 5-7 minutes to make it light and fluffy. Add peppercorns to the mixture. Heat 2 tbsp ghee and put it over the mixture. Mix well and let the mixture stand for 8 hours. The mixture after then would rise up. Stir it well, if the mixture is quite hard, add milk or water to bring it to pouring consistency. Blend in it a pinch of soda and juice lime. Then place a frying pan with ghee in it, put in 1 tbsp of the batter in ghee and fry it until turned brown and crisp. Your malpua is ready to be served hot. Well these were some of the finger licking and delicious cuisines, part of almost all holi parties all over India. We hope you try them out this holi. Share with your friends and family these amazing holi recipes and help them to make their holi a good one.